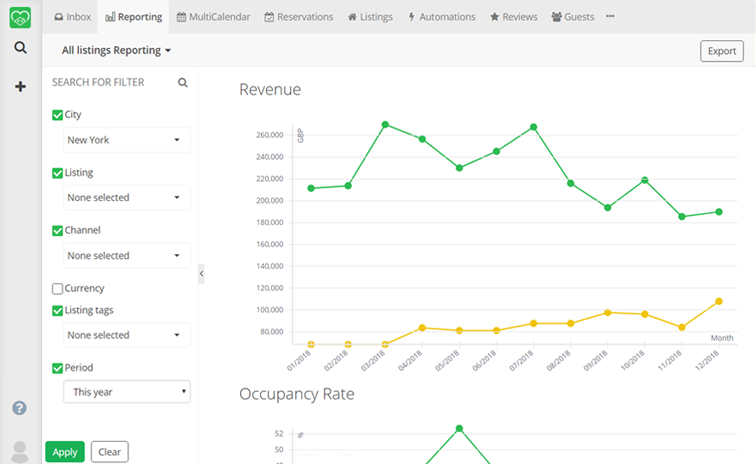 FantasticStay is a powerful SaaS and vacation rental & Airbnb channel manager. 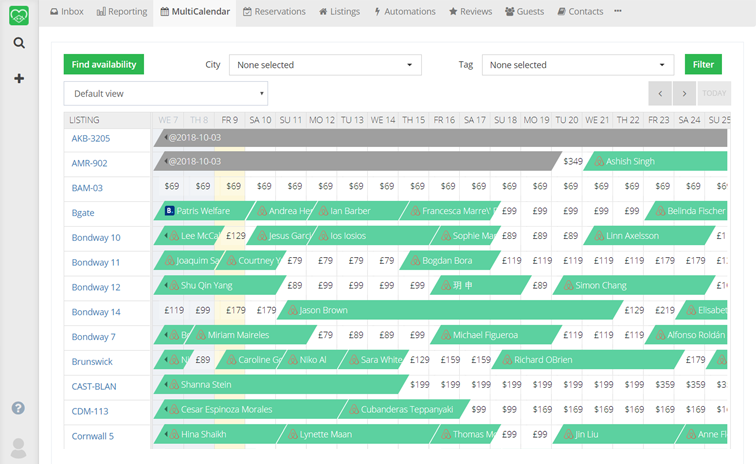 Created by experienced property managers, FantasticStay revolutionizes vacation rental management. 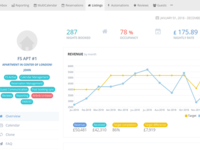 Our software is developed to manage all aspects of the vacation rental business from within a single platform and on any device. 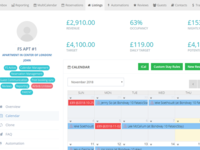 Pros: Excellent software, and well suited for the European market, and if you operate primarily on Airbnb, If you charge a full room rate and take VAT out, then this is the software for you. But if you're in the US and you charge a base rate for the room and add the local taxes on top, then forget this software, it doesn't support that kind of billing. They pretty much have all of the features we want with exception of taxes. We have to invoice our customers with base rate + GET and TAT, this software doesn't support it. Cons: The tax fields are missing! And they cannot be configured by listing, which is actually incompatible with the way we do business in Hawaii, since all counties have different GET levels. And there is no integration into the channels for the taxes, the assumption is that they get taken out of the base room rate. This is not a solution viable for the US market. In addition, we couldn't get deep integration with any other channel except Airbnb, They said they do this via Rentals United, but we were told by Rentals United that the only way to get the software configured is if FantasticStay did it. That was a complete show stopper since the support from FantasticStay was virtually NONEXISTENT. We got ZERO help with onboarding, they couldn't be bothered to get us out of the gate even with just the basics. 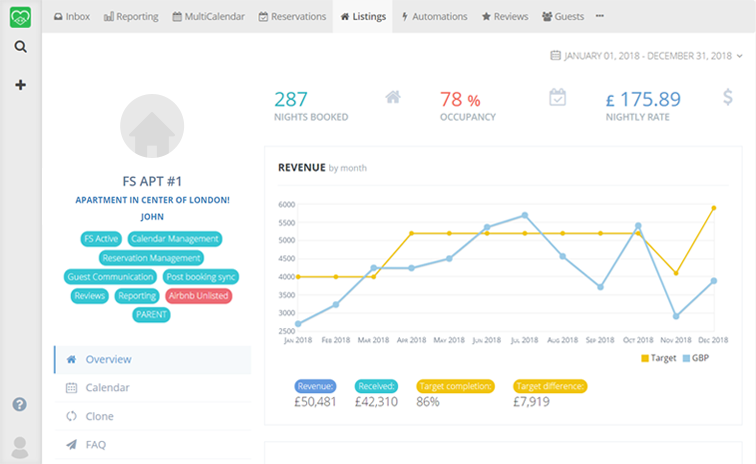 Overall: I wish we could have gotten out of the gate with FantasticStay, but the thought of having all our bookings go through a platform for which we can't get any support is too scary. If we run into a snag and we lose revenue with no access to customer support, that is not a risk we are willing to take. 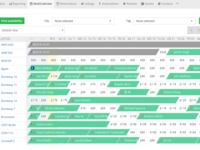 Cons: it was difficult for me to understand from the first look the source of the reservations in the multi-calendar, but the software team put a priority on that and resolve it in a week time. Very good software, easy using and functional. Pros: I like the option Parent / Child listings. 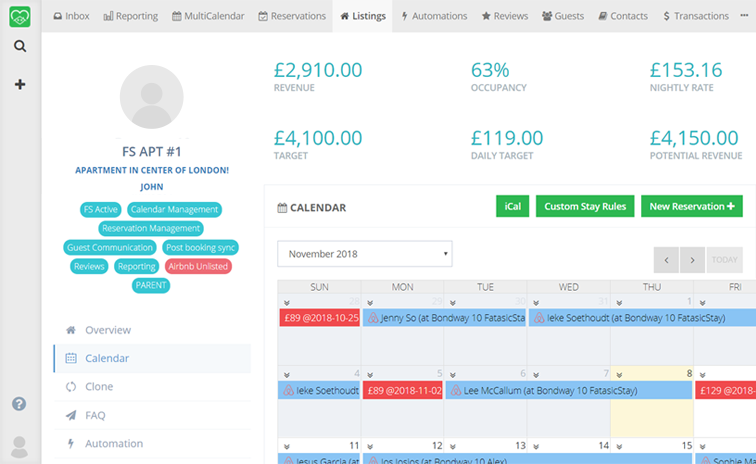 We can easy synchronize many airbnb accounts and listings. Also I like the mark up option, we can increase the prices with different % for each account and listing. I like that we have the option to move reservations from one listing to another and the calendar in the other channels can be free. Cons: I like least that there is no option to see the full information about the listing - address, pictures, occupancy of the property, bed configuration etc. 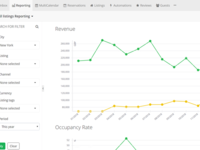 Pros: "An absolute game changer in Airbnb property management! We have 80+ properties and FantasticStay makes our life far less hectic and paralysed in terms of operations. We could not have done it without them. Robust features, first class customer support. Highly recommended!" Cons: All of the support are great people. I sincerly reccommend their services and support. They helped me a lot. Pros: Great software! I am using it daily and I am very happy with it. It is well developed and maintained. Any time there is some bug or in case it is slowing down, it is being promptly fixed and sorted out. Cons: I am pleased with using it so far and I cannot point out any cons. Any time there is some bug or in case it is slowing down, it is being promptly fixed and sorted out. Pros: You can track previous actions which is good if you want to revert changes to their previous state and you can also who made this changes. Cons: The user should be able to customise some of the features if they not needed for the position he or she is in so the features you need to work on will respond better. The software is very useful and effective. I use it on a daily basis. Pros: You can save a lot of different information which will be useful later. It is fast and effective. The software is maintained regularly and if you experience any problems you can contact the support team and they will help you right away. Cons: There are no cons that come to mind. Everyhing is running smoothly and is maintained regularly. Keep up the good work! Pros: The desing is very simple and easy to use. I like how we can see the platform from where the reservations come. Cons: The software is very slow sometimes. Also if there is a reservation for one of the properties what has started few days ago you can not move it to other property without delete the original reservation and create two different reservations. Pros: The software is very useful when you have a property that is listed in more than one platform. 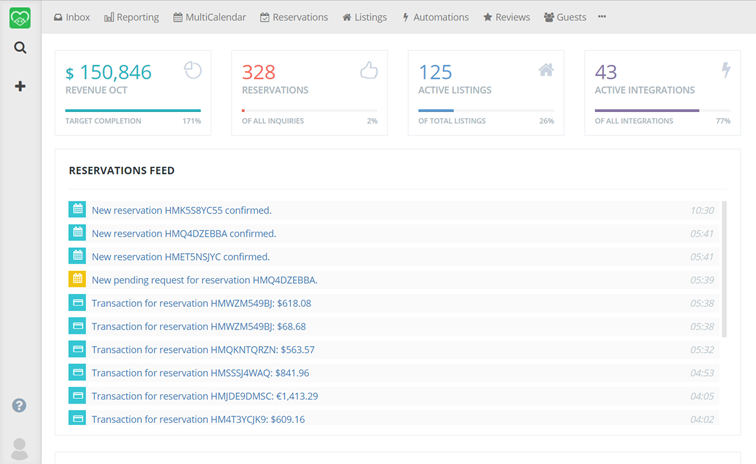 It gathers all the information for the reservations and the properties in one place. Cons: It is easy to use and it is well designed software. It's easy to find the information about the properties and the reservations. Overall: It makes the work easy and orderly. Great option for professional vacation rental managers! Pros: The software has good UI/UX, making it easy to use. They're adding new useful features, you can integrate many other apps and the reporting tools are very good. Cons: Just like with every other software we've tried, they would need to invest more in customer support. Still, FS is much better than the alternatives so far. Cons: Sadly there seems to be a few minor bugs yet to be ironed out. There is also a few key features not yet implemented. We were told these would be introduced in a few days but they werent. Not sure if false promises to get us signed up or if development took too long. Pros: As I mentioned above, it is extremely easy to work with , quite conveniet and really well modified for all types of users. Cons: I have been using it for a while now and I can`t seem to find any negative points on using this software. Pros: Easy access and overall control of the process. Cons: At the moment there is nothing I am not satisfied about.